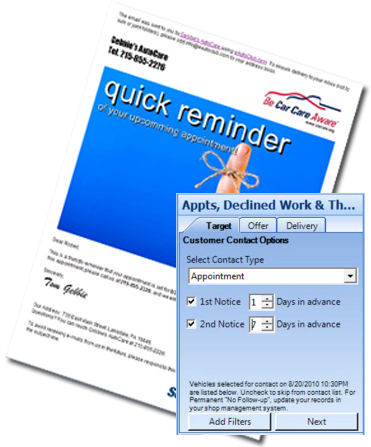 You can send Appointments, Declined Work, Thank You, and Service Reminders instantly from 50 shop computer systems. You can also schedule recurring customer contacts based on your normal shop management system usage. No additional shop input is required. Tracking service like a pro is a breeze. 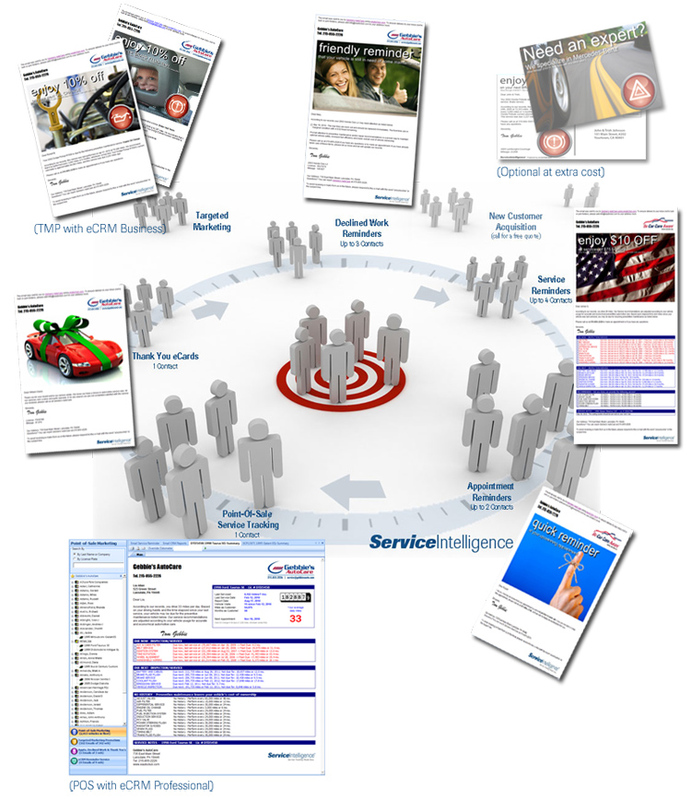 You can accurately inform your customers of their service-needs instantly. All service records for all vehicles in your shop management systems are available at the Point-of-Sale. 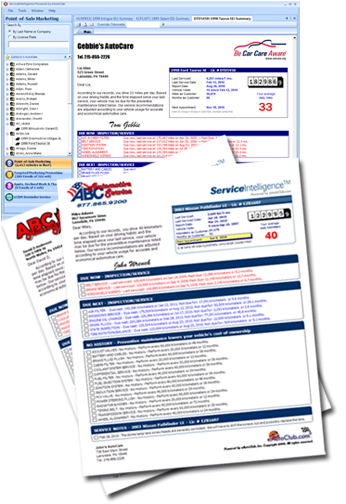 For commercial accounts, you can email service profiles for any vehicle in their fleet and protectively schedule service visits. Making informed service decisions is easy. Customers appreciate authoritative service records aged according to their actual daily mileage. The factual nature of the information inspires confidence in service recommendations boosting customer response. All customer contacts can be professionally created and sent instantly via email (and/or optional postcards). 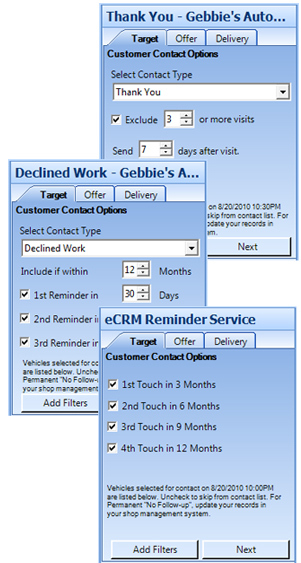 Set-and-forget features make automotive service contact management easy. eCRM 360 managed automotive maintenance is accurate and confidence building. Customers appreciate authoritative service records aged according to their actual daily mileage. The factual nature of the information inspires confidence in service recommendations boosting customer response.